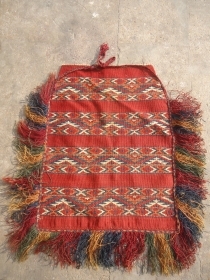 Verneh Horse cover with good early,nice desigen,color and very fine weave.As foud.Size 4'*2'5".E.mail for more info and pics. 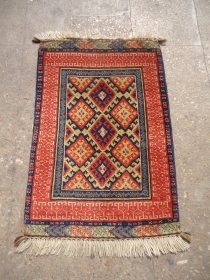 West Anatolian small kilim or Chuval front,extra ordinary fine weave and great natural colors,good condition,Size 3'10"*2'8".E.mail for more info and pics. 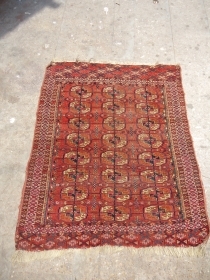 Chinese small saddle rug ?.Nice rug and good condition,beautiful desigen.E.mail for more info and pics. 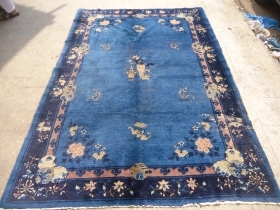 Blauch Rug with great wool,perfect condition without any repair or work done,good pile with soft shiny wool.E.mail for more info and pics. 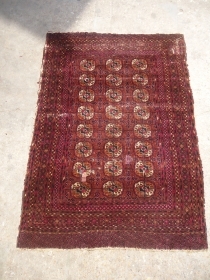 Qashqai or Shiraz seating rug with full pile and natural colors,very good condition,all original.Size 4'2"*2'".E.mail for more info and pics. 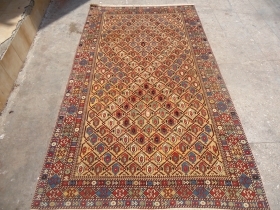 Shahsavan Mafrash Pannel with great colors and beautiful desigen,early age,fine weave.E.mail for more info and pics. 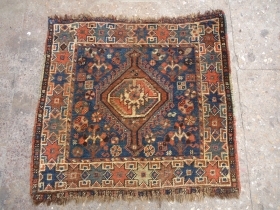 Chinese Peking Rug with beautiful dark blue field,good age and colors,As found condition.E.mail for more info and pics. 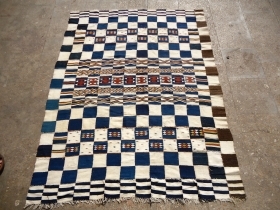 Beautiful Ivory ground Kilim with very nice desigen and colors,fine weave,good colors,nice condition.E.mail for more info and pics. 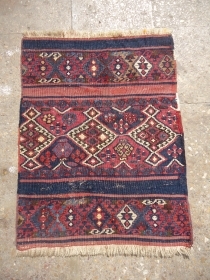 Kurd Bagface ?beautiful colors and soft shiny wool,excellent condition,nice desigen.E.mail for more info and pics. 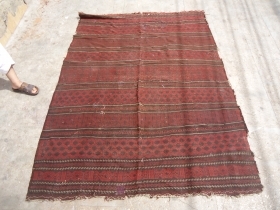 Senneh Pushti with great colors and fine weave,beautiful desigen,with animals,fine weave,good pile,without any work done,Size 3*1'11".E.mail for more info and pics. 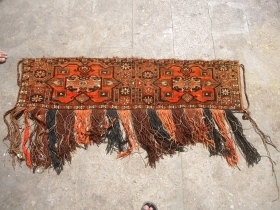 Turkmon Flatwoven Saddle pannel,all beautiful natural colors,fine weave,nice desigen.All original and perfect condition. 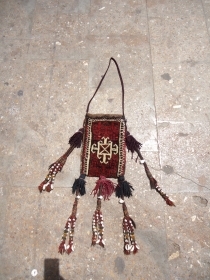 Bluach Decoration Hangging with very nice and colors,good age,All original.E.mail for more info and pics. 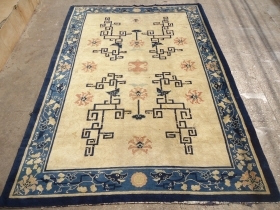 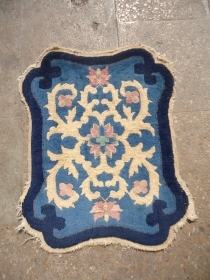 Blauch Rug with bold desigen good colors and age,Beautiful ivory border,As found without any repair or work done.Size 3'11"*2'3".E.mail for more info. 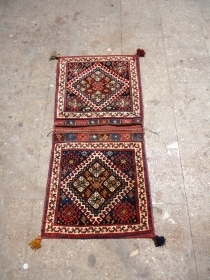 Anatolian Flatwoven Pannel with beautiful natural colors and fine weave,nice age and desigen.Size 2'5"*1'10".E.mail for more info and pics. 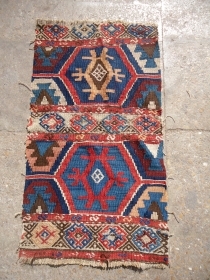 Kurd Early Chuval Frag with great colors and desigen,good age,fine weave,As found.All natural colors,Ready for the display.E.mail for more info. 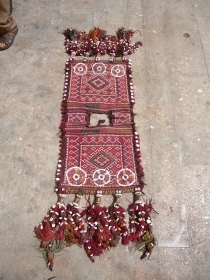 Small Baluch doubble sided bag,very nice colors and desigen,all original,very good condition.E.mail for more info and pics. 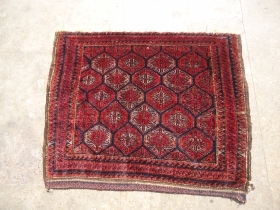 Shahsavan Mafrash Pannel,with beautiful good colors and age,Fine weave and nice desigen.Size 3'3"*1'9".E.mail for more info and pics. 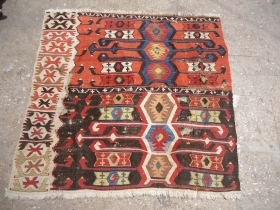 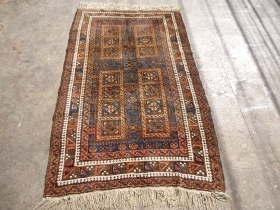 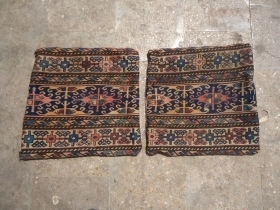 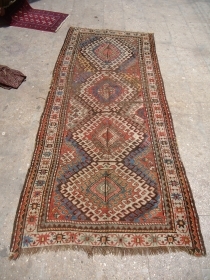 Turkmon Rug with beautiful colors and desigen,fine weave,As found.E.mail for more info and pics. 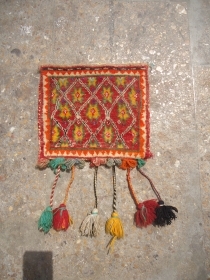 Moroccan Silk embroidered panel on cotton,beautiful colors and desigen,very good condition,without any stains.good age.E.mail for more info and pics. 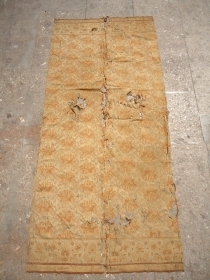 Early Shwal Fragment. 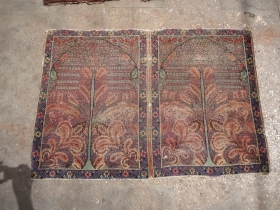 Mughal ?.Very early age and extra ordinary work done,beautiful colors.Very nice desigen.E.mail for more info and pics. 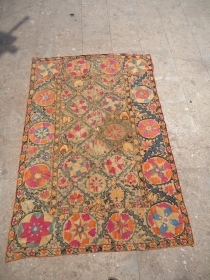 Early Suzani Frgament with beautiful colors and desigen.As found.Size 5'9"*3'10".E.mail for more info and pics. 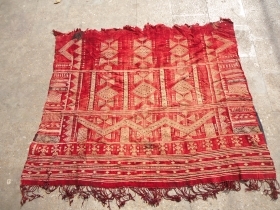 Kashmir or Indian Shawl with beautiful stripe desigen very nice colors.E.mail for more info and pics. 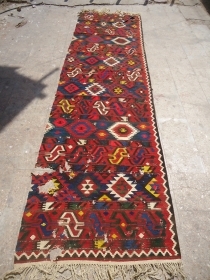 Qashqai Chanteh .Colrofull backing.E.mail for more info and pics. 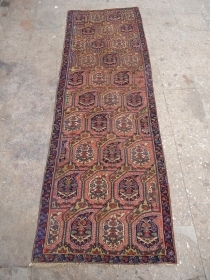 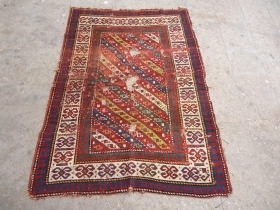 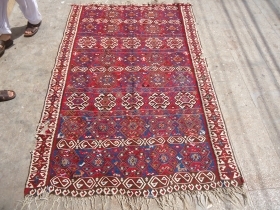 Shahsavan Bagface with beautiful colors and boteh deigen,very good condition.E.mail for more info and pics. 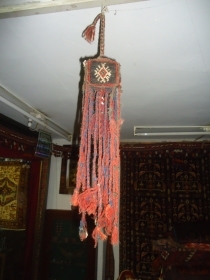 mafrash end panels. 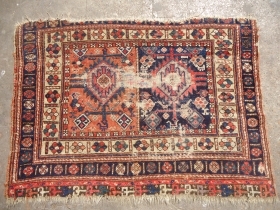 Pair with very fine weave, and desigen,good age, some synthetic colors. 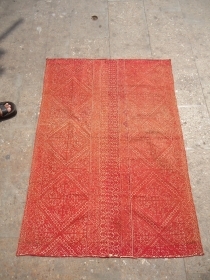 E.mail for more info and pics. 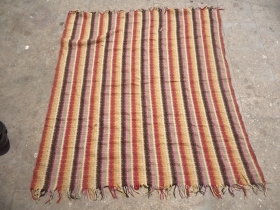 Caucasian Genjeh Rug with great Natural Colors and beautiful stripe desigen.As found.Size 6*4'2".E.mail for more info and pics. 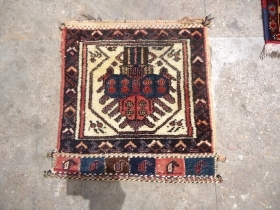 Karabagh ? 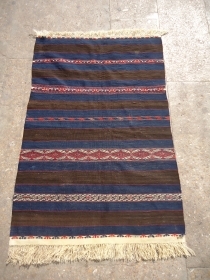 Borjalu ? 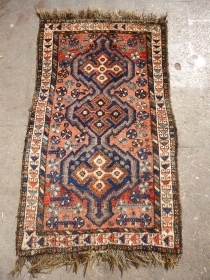 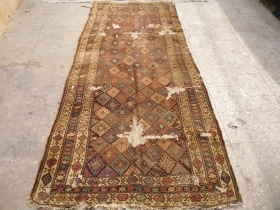 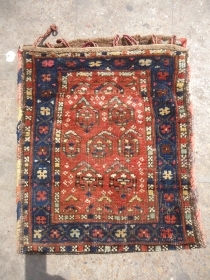 Rug good age and colors,as found without any repair or worl done.E.mail for more info and pics. 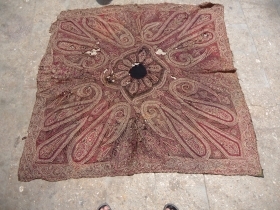 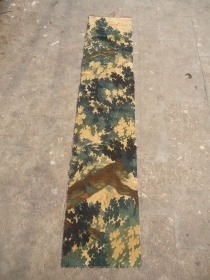 Early Kashmir Shawl Fragemnt with beautiful colors and desigen,good age,nice colors.E.mail for more info and pics. 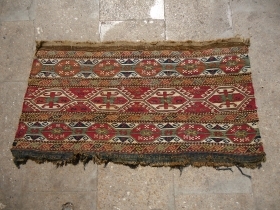 Anatolian Kilim Early Fragment with great natural colors and beautiful bold deisgen.As found.E.mail for more info and pics. 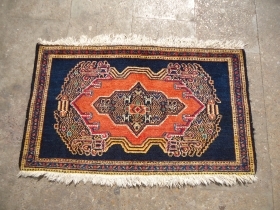 Qashqai Khorjin complete with Beautiful Natural colors and very nice desigen,excellent condition,fine weave,soft shiny wool.Ready for the show.Size 3'10"*1'10".E.mail for more info. 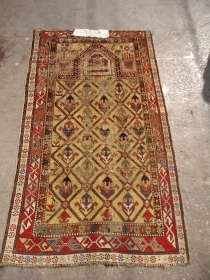 Ivory Ground Afshar Bagface with beautiful desigen and colors,good condition.Nice pce.E.mail for more info. 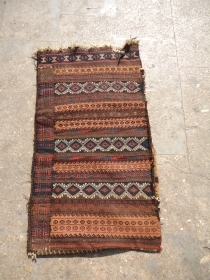 Antique Baluch Kilim Flatweave,nice colors and desigen,good age,As found wihtout any work or repair done.Size 7*5'4".E.mail for more info and pics. 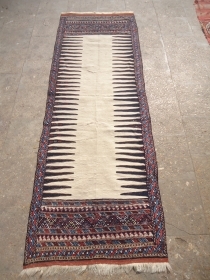 Qashqai bagface with beautiful star border stripe and very nice natural colors.Beautiful desigen.Size 2'6"*2'6".E.mail for more info and pics. 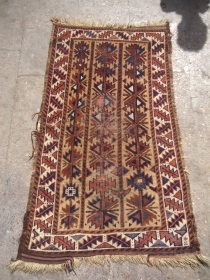 Khamseh Runner with beautiful colors and desigen,fine weave,good age,nice condition.Very nice pce.Size 8'2"*2'8".E.mail for more info and pics.